Creating a cohesive brand identity for your company takes more than just stamping your logo on everything; it takes creating quality content that is consistent across all channels and at every point of contact. Done right, branded content can have a huge payoff for your company — as SimplyZesty reports, 41 percent of Pinterest users and 35 percent of Instagram users share branded content on their respective social media sites. Creating content with a uniform brand identity encourages customer loyalty and gives your products and services a greater appeal. If you are looking to build a comprehensive and complete brand identity, we have some tips on how to do it right. The most basic principle of brand design is consistency. Everything from your color palette to your fonts must be consistent throughout the design process. The colors used in your website and advertising materials should complement the colors used in your logo, and you should use a low-impact professional font in all your copy. If you don’t have an eye for this, consider hiring a professional graphic designer to help you create your company’s palette. Visual content is the first way customers will often interact with your brand so it must be right – BeingYourBrand reports that 65 percent of customers are visual learners, so having a consistent visual style is critical to your success. 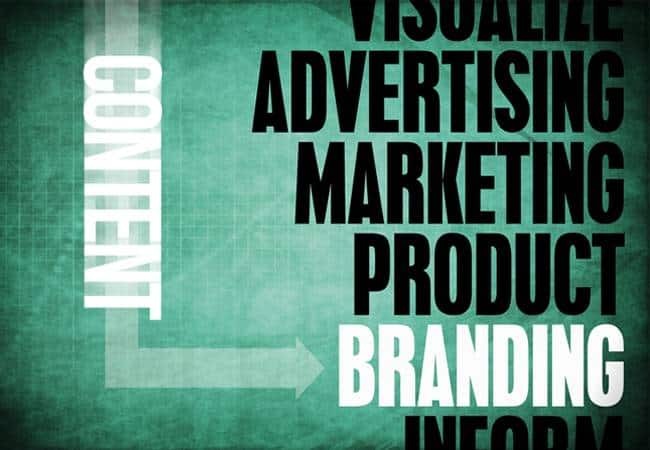 Brand and content go hand in hand, and your brand needs rich content to appeal to consumers. First step to building brand depth: Integrate a blog into your website that’s rich with articles, stories and reviews. Your website should also contain video and interactive content that enables customers interaction with your brand. Video is a huge part of modern branding for companies — Cisco reports that online video traffic will account for 55 percent of all traffic on the internet by 2016. When creating videos for your website, be sure to choose music that reflects the qualities that you want customers to see in your brand. A stock music licensing service such as Shutterstock can help you find on-brand music. If a video piece doesn’t feel representative of your brand, don’t put it out there for customers to see. The language you use and your voice helps communicate your values to customers. For example, Zipcar (a car-sharing service) asks its customers to “imagine a world with 1 million fewer cars,” which has a positive and encouraging tone. This green message runs throughout much of their marketing material, and rather than choose language that speaks of luxury when discussing membership in their program, they talk about how joining their program can make an impact. Consistency of voice and language is key to maintaining a comprehensive brand identity, so be sure the language you use reflects the qualities of your brand you want customers to see. Language is powerful, and you need to make it work for you. This entry was posted in Digital Marketing and tagged Branding, Content Marketing on July 20, 2015 by John Coonen.